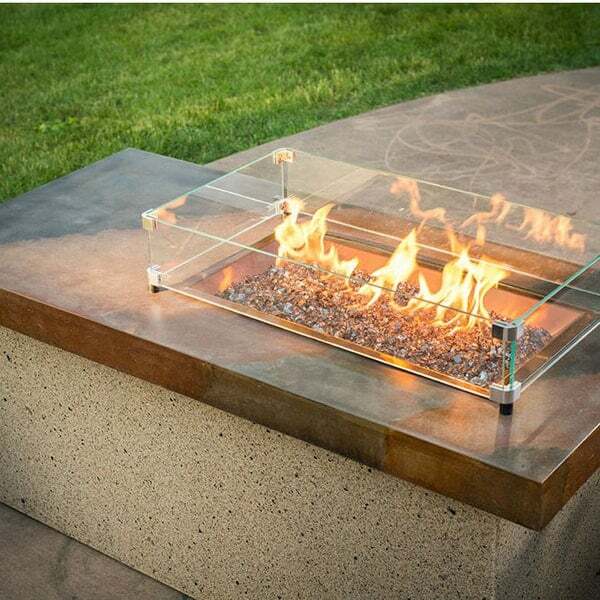 The featured Artisan Fire Pit Table in Copper features a stylish spin on the Artisan Fire Pit table featured elsewhere, with a copper-toned burner bed. The copper integrates well with the custom acid washed tabletop with multiple tones and shades that meld together. 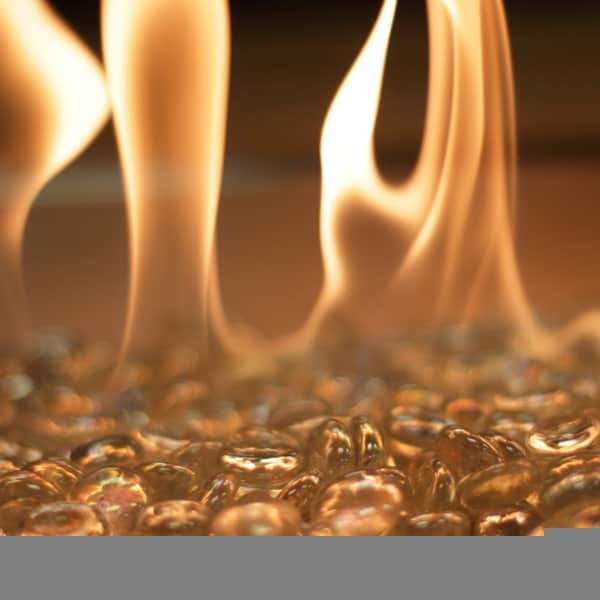 The copper burner houses a bed of fire crystals that are made to last a lifetime without deterioration. Flames dance atop the bed of crystals in a unique, cleaner iteration of the dirty, smoky fire pits from earlier days. The flame is fueled by the gas source of your choice. You may hook up a liquid propane tank measuring up to 20 lbs, and store it in the base, where it is safe and hidden from sight. Or, you may use the included appliances to change the Artisan Fire Pit Table into a natural gas burning fire pit. The choice is yours. The Outdoor GreatRoom Company aims to open your mind to new possibilities for your outdoor relaxation. Can you imagine enjoying a bonfire that requires no surveillance, preparation or cleanup?